Bow and arrows have been used in this world since the stone age for hunting purposes. It has also been used during battles and wars in the Middle Ages. During this period, the most prevalent bows were the traditional longbows which were invented long before the modern compound bows. Compound bows came into existence many centuries later, but they feature several modernized features in their structure. This may make you think about Compound Bow vs Longbow! Which One To Take? Both compound bow and longbow have their own uses and their own downsides. You might be in a dilemma to choose the best type of bow for several purposes and you are stuck between these two type of bows. To make your task easier, we are presenting you an explained informative guide regarding the several features of both bows along with a decision-making chart for you to choose the best one. A compound bow is one of the most popular types of bow in the modern archery world. It is usually used for hunting purposes and for target practice. This bow features a levering system which consists of cables as well as pulleys to bend the limbs. The pulley system in a compound bow lets offers you a mechanical advantage, which is why the limbs in this bow are comparatively stiffer than those of a longbow. Due to this stiffness, compound bow becomes a lot more efficient to energy than a longbow due to the less dissipation of energy for the movement of limbs. This bow is constructed with highly rigid, advanced technology. Due to this, the sensitivity of the bow gets decreased so that there is a change in temperature and humidity. Hence, you can experience an improved accuracy with a compound bow. 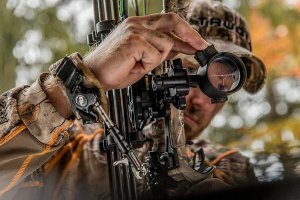 An ideal compound bow is lightweight, adjustable and flexible as well as sturdy. Its central riser is usually designed with aluminum, carbon fiber or magnesium alloy. It usually suits the dominance of your eyes as well as the dexterity of your hand which helps in smooth and perfect shots. Compound Bow features a levering system which is used for the bending of limbs. Bowfishing: A reel needs to be connected with a stabilizer which is placed on your compound bow for bowfishing. When you’ve speared a fish, you will be using barbed arrows to reel in, and there are several kits available for this purpose. A compound works best for bowfishing since you’ve to wait a lot of time after aiming with a full-draw. A longbow is another type of bow which is widely used in hunting and wars. This bow has a larger height, near to the height of the archer. Unlike another traditional bow (i.e. recurve bow), this bow isn’t recurved and features narrow limbs which are generally in a circular or D-shaped in the cross-section. This bow has been used in the world for a longer time than the compound bow. It has been used in different wars and several hunting purposes. Longbows used for such purposes were designed with the use of yew or elm during the Paleolithic and the Bronze Age. Previously, a longbow used to be just a simple bow featuring a single piece of wood. With the change of time and with the invention of new technologies, longbows have also become advanced like the compound bows and are designed with modern technologies to increase the usability and durability of the bows. A longbow is usually designed with yew wood, elm, oak, and hazel. It is typically equal to the height of the archer. It has narrow limbs and rounded cross-section. Its strings don’t come in contact with its limbs. 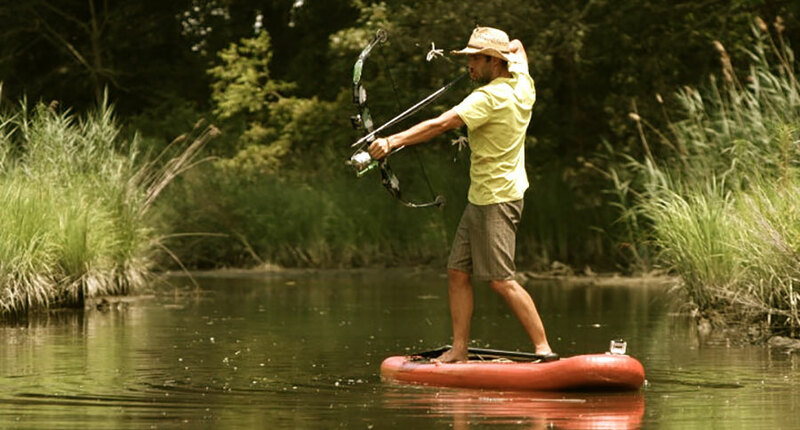 Bow Fishing: For bowfishing, you need to have a reel attached to the stabilizer seated on your longbow. Also, you need to have barbed arrows so that you can reel in once you’ve speared a fish. Once you have got the necessary kits, you can spend some time aiming with a full-draw and waiting for the longbow to offer a quick snapshot. Hence, a longbow is compatible with bowfishing. Target Shooting: There are several target shooting events for people using both type of bows. The range and size of the targets are also similar in both cases. However, at the Olympics, it really matters on how well you behave. This means discipline matters, and a compound bow doesn’t suit the requirements since it can produce dangerous results. But, a longbow is eligible since you won’t be resulting in harmful consequences. Sell it as the cost price, no add profit, just want more people to try our TOPARCHERY bow. High Strength Casting Aluminum Riser. The Bow is very Nicely Polished and offer Excellent Performance. Total bow length: 56", bow riser length: 17", bow limb length: 53", Max draw length: 30". 30" Aluminum / Carbon Arrows are recommended. Limb: It is strong fiber glass with a maple core. Design for Right-Handed shooter. Recommend this bow for someone interested in learning archery, beginner and skilled archer. If you are a total beginner in archery, hunting, bowfishing or any other purposes where a bow is used and want to find out the best bow for that specific purpose, you can keep following this guide where we will be comparing several features of both the compound bows and longbows. Around 70 pounds of power is sufficient for taking any sort of actions with any of the bows. Generally, both the bows are available at the draw weight of around 70 pounds for the same reason since manufacturers aren’t likely to prepare bows with larger draw weight. While comparing the two bows, a compound bow with a 70-pound draw length can display the best performance while using the same arrow size and weight. During the shooting period, the strings in compound bows are far more powerful while flinging the arrows, which easily makes the compound bow the top choice in this case. When talking about let-off, a compound bow with a draw weight of 70 pounds and 80% let-off is likely to hold just around 14 pounds force while aiming. On the other hand, a longbow of the same specifications will have to hold 70 pounds of force straining against you, which easily makes the compound bow greater while aiming. A longbow might be larger than a compound bow, but if you have properly selected the strings and thickness of the riser, you will have a heavier compound bow since it involves a lot more aspects during the construction. A compound with the draw weight of 70 pounds is likely to measure around 32 inches from the two limb tips, whereas a longbow will have around 72 inches with the same power. Hence, a longbow is twice as larger as a compound bow. A compound bow involves several things in its construction to make it portable. If its string collapses, you won’t be able to repair it at the moment. However, you can easily maintain the string in a long bow with your own hand. It is easier to repair a broken limb in this bow since you can just get a set of limbs and combine them. But, for a compound bow, you will have to take it to a well-trained person for proper assembly and maintenance. You can easily remove the limbs and break them into a riser, a top limb, and a bottom limb so that you can transport them elsewhere. The case is opposite for a compound bow. Once it is manufactured, it can’t be broken down like the longbow. Although a longbow will occupy less housing space than the compound bow, you won’t be able to shoot with the bow when it is broken down into pieces. Hence, a compound bow is more portable than a longbow. A compound bow needs a lot of different materials for its construction. It requires many different parts, their assembly, and transportation which can be tedious and non-cost-effective. The case is just the opposite in case of a longbow. It requires just a few materials and costs less than half of a good compound bow. Hence, a longbow is a cost-effective solution. You can find some compound bows allowing you to adjust their draw weight and length. It can be done by changing the position of their cams. There are few bows which let you adjust the power from 5 to 70 pounds. 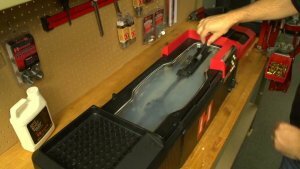 Additionally, you can also adjust the draw length from 10 inches to 32 inches without using a bow press. For the case of a longbow, you have a lot of different limb options to change its power. When you assemble a long bow with a single set of limbs, you will have one specific range of power only. In this case, you will be able to under-draw the bow to shoot with a lower force. However still, a compound bow will be better in terms of adjustability. You can find several compound bows and longbows when you do a simple search on Google. In terms of several features, a compound bow is dominant. This is the reason why most archers and hunters prefer compound bows. Due to this reason, manufacturers produce more number of compound bows than the longbows. A longbow has been around for many centuries. Most people are easily attracted by a longbow since they carry more prestige. Even though compound bows are more advanced and feature new technologies, there are a lot of different styling options available for a longbow. You can’t customize a compound bow in your own way. It is not possible since it is already well-built and making changes might lead to the damage of several parts. Hence, a longbow easily wins in this case. Now you have found out about the different features of both compound and longbows as well as the comparison factors for both bows. It’s time to decide which bow would be the best for beginners. With the above decision-making chart, it is clearly known that the compound bow is taking the lead with 6-4 with the longbow. This means a compound bow is found to be the best bow for beginners for different purposes such as bowfishing, hunting, archery, target practice, etc. If you have any issues regarding the information of both type of bows, you may feel free to write down to us in the comments. We’d try to get back to you right away.